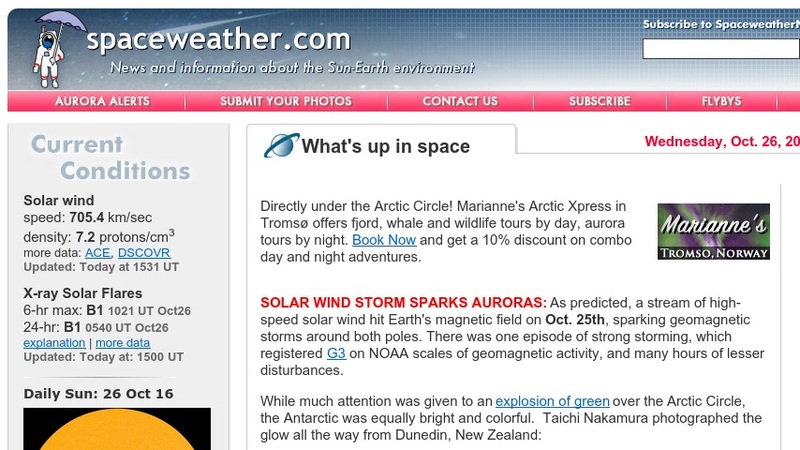 Visitors to this site can access news and information about the Sun-Earth environment. Materials presented here include current conditions for solar wind, X-rays, sunspots, and magnetic fields; forecasts for solar flares and geomagnetic storms; and information on near-earth asteroids. An image gallery and an extensive selection of links to related topics are also provided.